The minimum viable product helps you testing a product hypothesis and accelerate the learning process by getting the core features of your product idea to early customers as soon as possible. Launching with the minimum feature set can help you in finding product / market fit while maintaining efficiency. If you’ve validated a solution that turned out to be desirable in a Design Sprint, the MVP can be the quickest way to get your product to the market. We commonly see two use cases for MVP Development. In some projects, it is necessary to build a prototype-like application that can be shown to potential customers or investors – and in other cases, the MVP needs to be a marketable product. In both use cases the MVP acts as an initial realization of an idea, that can be tested and used as a basis to learn from and find out where to iterate. When building an MVP, it is important that we consider only the key feature set. Potential users won’t find much value in a product that has a lot of features that aren’t fun to use. Hence we’ve developed a process where we plan out the most important features strategically, focus on the User Experience to build a reliable and lovable set of useful features and ship a functional product that early customers will love. 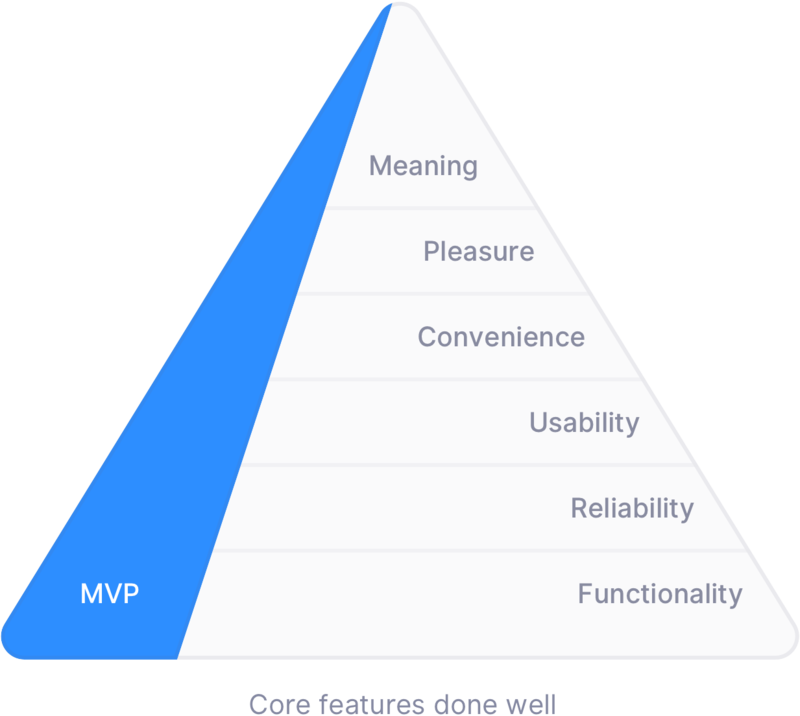 By focussing on the core features we can build a marketable MVP in 4-8 weeks. From our experience, an MVP is helpful when you already know what problem you are solving and have validated solutions that show which core features are most important to your potential customers. Only then does it make sense to build a functional version of your product that you can take to investors or early customers – validation phase can be considered completed once there are signs of product market fit. If your product already launched, the mindset of shipping viable features, analyzing metrics and iterating on them based on real user data is still very important, but could be best handled within continuous development.